We have a special guest here at Custom Scene today… Introducing Sam Parrett from Set Sail Studios. A very talented designer based in the UK with a passion for typography and experience in some interesting industries.. He is a designer that understands exactly what is needed to make a breathtaking font, he’s just got it. This reflects in the signature flow and organic strokes seen in all of his work. You likely will recognise some of his stunning font creations from Madina to Violetta (our personal fave) and Better Times to Wild Spirit. Tell us a little about your background and how Set Sail Studios got started. We started in 2011 as a digital design agency, primarily working within the music industry. After 4 years of working on some great projects and eventually with some household names we felt it was time to explore some different avenues. I’ve always had a passion for typography and worked on many branding projects in the past, so decided to convert the website into a web store primarily for selling typefaces but also other graphic resources. What’s the most enjoyable part of running a creative studio? Definitely being able to work on your own projects and let your ideas and inspirations run wild without any restrictions. Contracted work can give you lots of great opportunities, but there’s nothing like seeing your own creation start from a single thought and flourish into it’s own separate entity, it’s so much more satisfying when you know you’ve done it all by yourself. How have you used Custom Scene in your business? I’ve used many of your fantastic mockup generators to showcase some of our fonts capabilities, and give an example of how you can utilise them alongside other great design products. Can we see some examples? Generally just from everyday experiences like art directions in movies and video games, handwritten signs, calligraphy feeds on social media. It’s just me and my partner Leanne at our home studio which is great fun, we have a 1 year old daughter as well so there’s not much of a schedule or typical day at the moment! I will generally be working on fonts throughout the day while Leanne keeps on top of e-mails and admin work when the little one’s asleep. What is your all time favourite font? There are so many great ones! I honestly don’t think I can pick just one, but I’m totally in awe of Dmitrii Mikitenko (Blessed Print)’s font work at the moment. The detail in his work is outstanding and his style of perfect calligraphy is one I’ve never managed to grasp. Just check out his Mozart Script – I can’t imagine the amount of hours that went into it. What font do you hate the most? I wouldn’t say I hate any font at face value as they’re all just expressions of art in one way or another, I think it’s just when fonts get used horribly out of context I would have a problem with. Like when comic sans gets used for a dentists logo design instead of a cartoon or comic which it was clearly intended for. I’ve definitely grimaced more than once at that sort of thing! What got you into typography in the first place? I used to work as a freelance designer in the music industry, and ended up with a bit of a reputation for being a logo designer. It was always something I enjoyed doing and seemed to have a good grasp of, so it was a really natural progression to start exploring my own typefaces when I started running out of font options! We love the textures you use in your fonts; do you solely use digital tools or do pencils, pens and paintbrushes get used in the process? Honestly, all of these things. I will literally try anything on a piece of paper and see what texture or flow it creates, that’s the really fun part about designing handwritten fonts. I even designed one font with a broken plastic fork and some dipping ink, and another with a nib I made by cutting up a cola can. Can you tell us a bit about the way you design? I’ll start by writing out a few phrases on paper to try and get an idea of the sort of style of font I’m going for. Once the concepts nailed, it’s then a case of drawing down every glyph separately and scanning in the results. The scans are then vectorised and inputted into the font software where I can apply the kerning and opentype features. After the font is finished I’ll open it in Photoshop and create the promotional images. What trends in typography can we expect to see in the near future? I genuinely have no idea! I’ve stopped trying to guess the next big trend and just focus on what I enjoy doing and making typefaces I’d want to have in my portfolio, it’s much less stressful that way! I’ve read that ‘colour fonts’ are set to be the next big thing in typography, but who knows. We understand you’re a tea enthusiast. What tea do you most frequently drink in the Set Sail Studio? I’m honestly not that fussy! 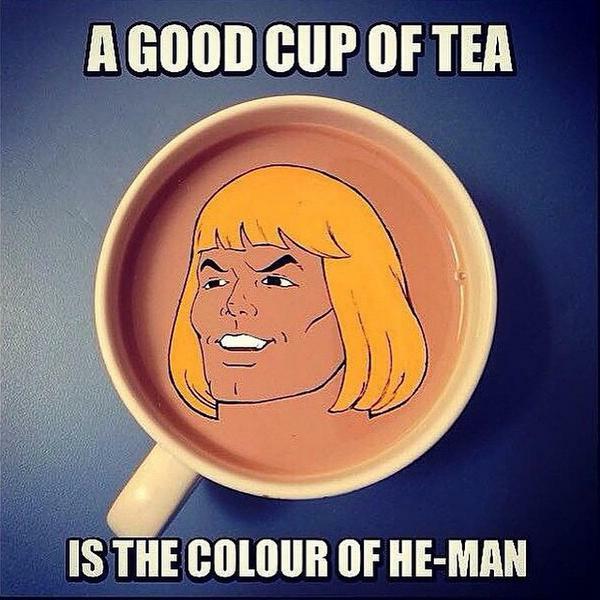 As long as it’s good old fashioned english tea, one sugar, and the perfect shade of he-man then I’m happy. Which project have you most enjoyed working on? They’re all great fun but I did particularly enjoy the project when I built that custom cola-pen I mentioned earlier. It was for my font ‘Sabotaged’ – that thing threw out some savage brush strokes and it was really fun to go wild with it! What are you working on at the moment? Can we expect to see any new releases in the near future? I’m actually having a bit of a break at the moment as I’ve just launched 5 fonts in just over 3 months, I think it’s important to have some downtime as a creative but I’ll definitely be back very soon with some more font releases!